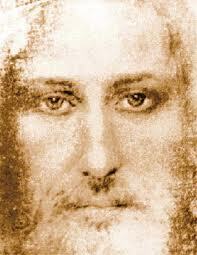 "The saint who is intimate with Jesus will never leave impressions of himself, but only the impression that Jesus is having unhindered way, because the last abyss of his nature has been satisfied by Jesus. The only impression left by such a life is that of the strong calm sanity that Our Lord gives to those who are intimate with Him." Too bad that is too long to post on Twitter because it is so beneficial. By intimacy we are enabled to leave an impression of Christ rather than of ourselves. Paul wrote about this In 2 Cor. 2:14-16 letting us know that we are the aroma of Christ. We smell like Jesus! This is an aroma that wafts all the way to the nostrils of God himself, and it can also be smelled by saved and lost alike. The hope is that by intimacy with Christ, that aroma of Christ will be stronger upon us, and people around us will get the unmistakable impression that Jesus himself is near. I remember reading something about baby pheromones which are present in infants less than two years old. Conventional wisdom has it that the pheromone odor dissipates after two years and the parents decide to have another baby because of the attraction of the pheromone odor which has left their toddler. I don't know if that is true or not, but holding a 3 month old child last Sunday I could sense something attractive by holding the child close enough to smell her body smell. Perhaps it was just baby powder or soap I was smelling, but it reminded me of the smell of my own children at that age. I wanted to linger and hold the sweet child, but I had places to go and things to do. I wonder if the aroma of Christ that lingers upon us is anything like baby pheromones. Attractive. Winsome. Appealing. If so, I want to smell like Jesus every day. More of the aroma of Christ, less of my own B O.